Which one keeps you shine-free the most? 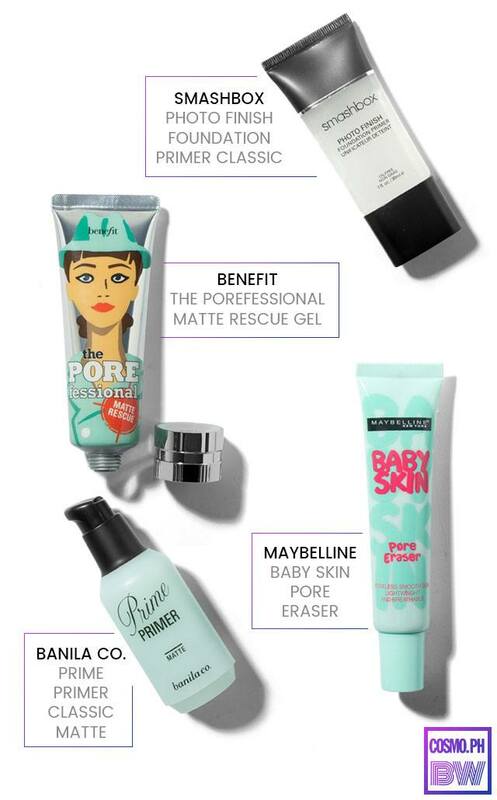 Primers are considered skin perfectors: they blur out fine lines, smoothen pores, and mattify oily skin. They also prevent foundation, blush, and highlighters from melting off your face. They're basically miracle workers, tbh. 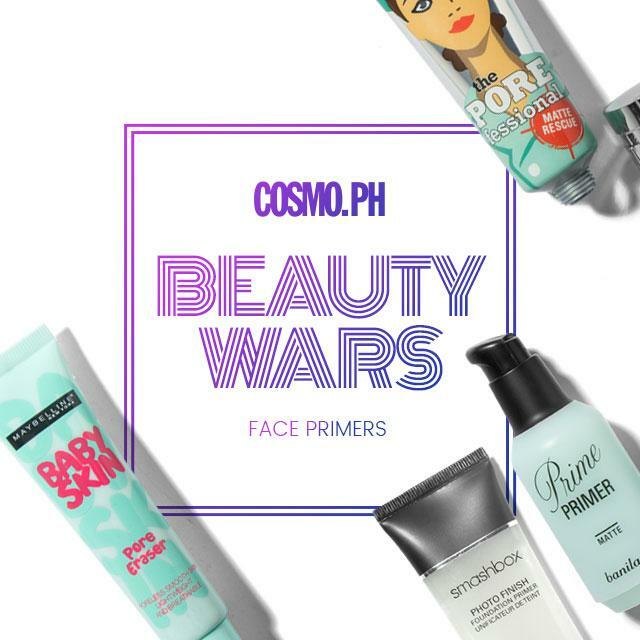 For this edition of Cosmo.ph Beauty Wars, we tested four primers made for oily skin to find out which one does the job best. Read on to find out our top pick! What It Is: A gel-based primer that gives a refreshing feel to the skin while absorbing excess oil. Why We Love It: It lets the pores breathe, and gives a natural-looking matte finish. After using it, the skin still looks like skin, only better. What It Is: A lightweight primer that controls oil production that leaves a powdery finish. Why We Love It: Its light texture feels like a moisturizer, and it made foundation application a breeze. What It Is: A gel primer designed to help makeup last longer, especially under photography lighting. It also promises to fill-in pores and smooth out lines while managing shine. Why We Love It: With just a small amount of this primer, skin texture is instantly improved, making foundation application easy AF. It’s also cruelty-free! What It Is: This primer hides pores and delivers moisture while mattifying the skin. Why We Love It: It lives up to its name—it really creates a baby skin-smooth finish on the face. Also, its affordable price tag is hard to beat!